Would you hire an unknown singer without hearing them sing? Even with “five years of singing experience” in their résumé and a diploma from “Epic Singers School,” you would still like to hear them, wouldn’t you? Surprisingly, most companies do the opposite and base hiring decisions on candidate claims and attained degrees. 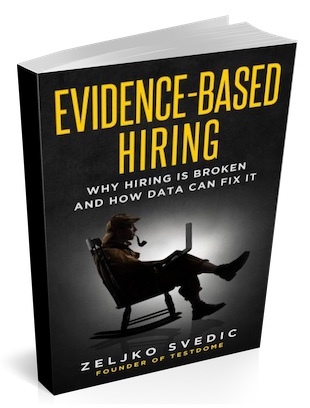 The good news is that you can detect the top employees other companies are missing by applying Evidence-Based Hiring, a new and scientific process. Step-by-step examples of job ads, questions, tests, and interview scripts will teach you how to remove hidden biases, ask the right questions, and create completely automated screening tests. As a result, you will gain a competitive edge over your rivals, hire fantastic employees, and save time at every step of your hiring.